Jose, a DACA recipient and a native of Zacatecas, Mexico, joined the firm in July 2018. Fueled by his own immigration experiences and passion for helping others, Jose has worked with several pro-immigration organizations since high school, including Social Work allies for Immigrant rights (SWAIR), Coalition for Tuition Equality (CTE), and Student Community of Progressive Empowerment (SCOPE). His participation with Ann Arbor organizations led him to enroll at the University of Michigan, where he graduated with a major in Cognitive Science. 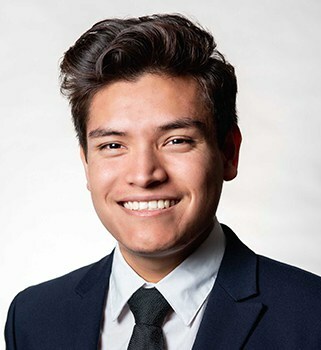 During his enrollment at the University of Michigan, Jose worked with CTE and the community to push for in-state tuition for undocumented students. He also worked with SCOPE, a student organization, to provide resources and empower undocumented and DACA students who feel like outsiders across the college campus. These organizations led Jose to work with the undocumented immigrant community in Washtenaw County. At our firm, Jose currently works on different types of USCIS cases including Naturalization, Adjustment of Status, and Relative/Spousal Petitions.